Clean spaces help to give people a relaxed mindset which is a key recipe for happy staff in the workplace. With work-related stress on the rise as well as mental health issue at work, it's very important to create happy workspaces that help to make staff feel comfortable and energised. In turn, this increases productivity and can also improve inter-staff relationships. Making an office clean and tidy creates the right impression with your staff and it shows that you care about your employee wellbeing. Tidy spaces make tidy minds not just for cleanliness but also for working productivity. Clutter often affects the mind and can reduce the desire to perform. As well as cleaning, consider introducing air fresheners to create fresh spaces and also add plants, which are also proven to aid wellbeing and also contribute to cleaner air in the office. If you don't have a dedicated member of staff for you cleaning, hire a contract cleaner to give your offices a great clean and help to improve or maintain a happy workplace. We cover the Cheltenham area and have a long-standing reputation locally for our 1st class contract cleaning. Call us on 01242 512659 or visit www.cheltenhamcleaningservices.co.uk for more information. Is cleaning a dirty word in your business? How often do you clean your office or workplace and how clean is it after? Cleaning, as we all know, can be a chore at most times and with businesses it's often left till the last opportunity to do. Contract Cleaning is the term used for office and commercial cleaning, whereby you hire a team of cleaners to regularly clean your premises. Those businesses that use contract cleaning, benefit from the peace of mind that offices are kept clean and also that the owner or staff don't have that responsibility. Cleaning needn't be a dirty word in your business if you outsource it to a contract cleaner. It will also save you money in the long run if you do. 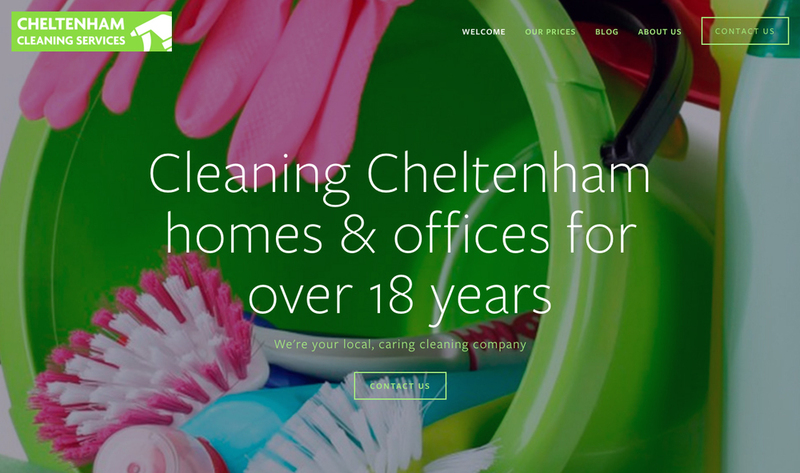 We work with Cheltenham based businesses to help keep their workspaces super clean and we take great pride in our work, which is why we have such a loyal customer base locally and a great reputation. If cleaning is a dirty work for your workplace give us a call on 01242 512659 or visit www.cheltenhamcleaningservices.co.uk for more information about how we can help. What’s your favourite quote? From introspective sayings to motivational one-liners, everyone has a favourite quote or two. Your favourite quotes might encourage you to work harder and take action, but do they make your home more organised? Have you ever felt mentally cluttered? It could be because your environment is also cluttered and disorganised. Research shows that spending time in a clean living and work environment clears your mind and helps you be more focused. Minimalism doesn’t mean throwing everything away and living without any of your favourite possessions – it often just means downsizing to what you need. Discard the things you don’t need and you’ll often become a much happier, motivated person. Clutter isn’t always physical – it’s often mental clutter. Things like stress from work or jealousy over someone else getting ahead in a certain area of life can clutter our minds and prevent us from living the lives we want. Being charitable does a huge amount to help the community, particularly people in need. It also makes you feel good – after all, there’s no feeling as great as knowing that you’ve helped someone get ahead in life. Everything significant in life has been made one step at a time. When you take small steps towards your goal – whether it’s a clean and tidy home or a great career – you will eventually get there, given enough time and patience. Many messy people make the argument that cleaning is pointless since nothing will ever be clean for long. They’re right and wrong at the same time; nothing will ever be perfect, but it can always be better, smarter or more effective. Organising only works to a certain extent – if you’re organising something you never use, you’re hardly becoming more efficient. Sometimes it’s better to let go and throw an unused item or personal limitation away rather than organising it. A lot of people struggle to be creative because their minds are dominated by work-related stresses and thoughts. Clearing your home can have a therapeutic effect on your mind and reignite your creative drive. Sometimes decluttering can be an important step on the path to discovering more about yourself. Clean out and organise your home this year! Need help keeping your office or home clean in Cheltenham? We would love to help as cleaning is our passion. Please visit us at www.cheltenhamcleaningservices.co.uk for more information. Top pros confess their dirty little dust- and grime-busting secrets. The motive: With vacuuming, fur weaves its way into the rug fibres and hair can get tangled in the brush roll. Edged with rubber, a squeegee glides along a rug smoothly, creating static electricity that draws hair and fur from the carpet. The method: Run a dry squeegee across the rug in overlapping rows. Collect clumps as they form and discard. 2 Use packing tape as a duster. The motive: It's easy to ignore lampshades, speakers, and the insides of drawers because it's tough to get them clean with regular dusting. With its strong adhesive, packing tape is the answer—it grabs dirt from fabric and crevices. The method: Press a foot-long stretch of tape onto the surface, then pull it back to pick up the grime. To get crumbs out of drawers, ball up the tape, leaving much of the sticky side facing out. Tap the ball onto the debris, applying extra pressure to catch stubborn pieces. 3 Mop with your feet. The motive: Cleaning floors and baseboards with a rag and the standard hands-and-knees method takes mettle. Legs are typically stronger than arms; the added force speeds the process. The method: Using a formula of equal parts water and white vinegar, spritz the bottoms of a pair of thick, absorbent socks, then put them on. Glide one foot across the baseboards. Spritz again, then skate around the floor to pick up dust, starting with the farthest corner and working toward the entryway. When you're finished, toss the socks in the washing machine. 4 Use a polymer-based car wax to prevent toilet bowl stains. The motive: Traditional formulas work for a bit, but this solution's polymers coat the surface for six months, keeping it slick so nothing sticks. The method: Clean the toilet to remove existing stains, then back the water out. This is easy: Shut off the water valve by turning it all the way to the right; flush the toilet, holding down the handle until most of the water flows from the tank; and pour a bucket of water into the bowl. Dry the interior with a cotton cloth, and use a separate cloth to apply the protectant. (Try 3M Performance Finish Synthetic Wax; $20, amazon.com.) Make sure to open a window for ventilation. Let sit for 10 minutes, then replenish the water by turning the valve left to open. For upkeep, every three months pour ½ cup distilled white vinegar into the bowl to prevent water rings from forming. 5 Tackle marks on upholstery with shaving cream. The method: Apply a small dollop to a damp cloth. (Use a standard white shaving cream, like Barbasol Original, rather than a gel version.) Dab this onto the spot and let sit for 30 minutes, then blot with a clean, damp cloth. If any stain remains, reapply and let sit overnight. 6 Fix for stained food storage containers is the sun. The motive: Even if you put the containers in the dishwasher, you can never get them fully, good-as-new clean. The sun's rays are akin to a natural bleach, so they eliminate most stains. The method: After washing the containers in the sink with dish soap and warm water, place them on a clean tea towel in the sun. Let sit for eight hours. Rinse and let dry. 7 Use newspaper to soak up garbage spills. The motive: A newspaper lining absorbs trash-bag leaks so you don't have to wash out the bin later. The method: Place yesterday's news at the bottom of your trash bin with a plastic bag underneath, to keep the paper from sticking to the can. Discard it all when you toss the trash. 8 Don't wash the blender—I just press a button. The motive: A blender's sharp blades and ridged interior can be tricky—and dangerous—to clean. The method: Fill the blender halfway with water, add a few drops of dish soap, and blend on low for 10 seconds. Wipe down the upper area with the soapy water and a sponge, then rinse. 9 Quick-clean mattresses with a spritz of vodka. The motive: Mattress upkeep is often overlooked, even though pros suggest quarterly cleanings. Vodka is an odourless disinfectant that evaporates fast, so you'll never have to do a deep cleaning. The method: Using a vodka-filled spray bottle, spritz the mattress and pillows when changing the sheets. 10 Get rid of crayon marks on walls with toothpaste. The motive: Cleaning sprays can discolour walls. But a white, non-gel toothpaste that contains baking soda acts as a fine abrasive to rub away wax without leaving a tint. The method: Apply with a clean toothbrush, scrub gently, then wipe clean with a damp cloth. This really helpful article is taken from RealSimple.com and American website filled with household tips that are universally beneficial. 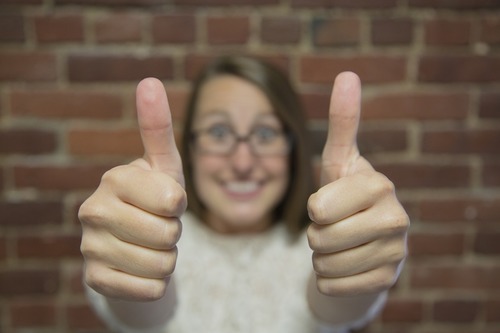 If you're finding it hard to keep on top of your house cleaning and live in the Cheltenham are - we can help with super cleans and an excellent customer feedback. Visit us at www.cheltenhamcleaningservices.co.uk for more information. This great article from AllYou.com highlights just how easy it can be to clean your home with basic household items and products! Use your morning pick-me-up to eliminate odours in the fridge. Simply place coffee grounds, new or used, in a bowl on a shelf. Replace them every two months for a fresh, slightly caffeinated smell. Keep your dishwasher extra clean with white vinegar. Pour ½ cup into the detergent cups and run the empty machine for a complete cycle. Cleaning tips: you can also use a few tablespoons of powdered laundry bleach, Tang or lemon flavoured Kool-Aid (it must be lemon) for the same results. It won't be a pretty sound, tossing ice cubes into the garbage disposal break sup grease and keeps it clean. Every few weeks, toss in a handful of cubes, turn on the disposal and run cold water. Add some orange, lemon or lime peels to ward off odours. Get baked-on foods off pots and pans with these laundry cleaning tips. Just place a dryer sheet in a pot, fill with water and let sit overnight, then sponge off the next morning. The antistatic agent weakens the bond between the stuck-on food and the surface of the pan, while the fabric softener works its loosening magic. Before you toss out (or better, recycle) your newspaper, use it to get rid of some garbage grime. Cover the bottom of your trashcan with old newspapers to soak up leaks and odours. Use this classic combo to get rid of scuffs on vinyl flooring. Use this playtime gear to pick up tiny slivers of broken glass (you know, the ones you don’t notice until you’ve stepped on them). Simply press a piece into the area to grab those smaller shards. Be sure to wrap the glass up carefully before throwing it away! To keep bacteria from taking up permanent residence in your kitchen sponges, rinse them with water at the end of each day, squeeze, then put in the microwave for three minutes. Let cool before touching. Do the same with your cutting boards, if they are microwaveable. Harness the power of citrus to clean your microwave. Cut a lemon in half, squeeze juice into a small bowl of water, add both lemon halves and place in the microwave for five minutes. The fresh scent eliminates cooking odours, and condensation from the steam loosens random splatters that have hardened. Wipe away the loose stains with a damp cloth. Polish tarnished copper with this natural solution. Fill a 16-ounce spray bottle with white vinegar and 3 tablespoons of salt. Spray onto the copper, let sit briefly, then rub clean. It's not just for your teeth! Use dental floss to remove debris from the cutting disc on your electric can opener. The same product that kills bad-breath germs also zaps the gunk beneath your feet. Add a capful of mouthwash to a gallon of water and mop vinyl or tile—but not wood—floors with the mixture. Grab a few disinfecting wipes to give faucets, sinks, tubs, toilet seats—you name it—an easy daily touch-up. After going over your bathtub, sink or shower with disinfectant, wipe the area with baby oil or lemon oil. Do this once or twice a month to help dirty water bead and roll down the drain faster, buying you more time before the next cleaning. Freshen the toilet bowl with effervescent tablets (denture or antacid) in between scourings. Drop two in the water, let soak for at least 20 minutes, then brush and flush. A can of cola dumped in for one hour also does the trick. The phosphoric acid in this mixture removes rust rings and other mineral deposits. Get rid of lime buildup on sinks by soaking an old rag in vinegar, then wrapping it around the faucet and clasping with a hair clip. Let sit for an hour, then take off the rag and dry the faucet. Combat mould and mildew on tiles and shower curtains with a paste of equal parts lemon juice and baking powder. Spread on the mixture, leave for two hours, then rinse. For one of our most popular cleaning tips ever, fill a spray bottle with white vinegar to clean chrome and stainless-steel fixtures, and to remove scum, grime and mildew from your bathtub, tile or shower curtain. A dry paintbrush (with bristles at least 3 inches long) is great for both the surface and grooves of your collectables. Dust framed photos with a pastry brush, which is softer than a paintbrush and easier to dip into corners and places that are difficult to reach. Cut the crust off a piece of white bread, squish the bread into a doughy ball and use it to gently dab the surface of paintings (but not valuable or antique works). Once the ball is covered with dirt and grime, start again with a new slice. Use a pastry brush (or another soft-bristled brush) to clear off any crumbs. Take a hands-on approach to your mini blinds and Venetians. Just slip on a pair of white cotton gloves, dip fingers into a solution of equal parts white vinegar and warm tap water, then run your fingers across both sides of each slat. Rinse gloves as necessary in a bowl of clean water. Slice a potato in half and gently rub the cut end on a muddy slipcover or comforter. Soak the fabric in cool water, then throw it in your next load of laundry. Keep air pure with houseplants. Research from NASA and the Associated Landscape Contractors of America suggests that palms, English ivy, ferns, mums and similar plants remove up to 87 percent of indoor pollutants. Use a lint brush with disposable sheets to dust lamp shades and plant leaves. To wash a narrow vase, pour in 2 tablespoons of dry rice and ½ cup warm water, cover with the palm of your hand, shake vigorously, then rinse. Give chandeliers a quick cleaning with a blow-dryer (set on low) or a feather duster. For tougher jobs, fill a spray bottle with one part vodka to five parts water, spritz on fixtures and blow-dry. Wrap a microfibre cloth over the bristles of a regular broom or around the end of a golf club, secure it with a rubber band and use to get rid of cobwebs or dust in hard-to-reach places. Did your child use the painted walls as a canvas? Mist them with hairspray and wipe immediately to remove coloured marker. For crayon, scrub with a toothpaste-covered toothbrush, or gently massage with baking soda and a damp microfiber cloth. Shine brass using a dab of Worcestershire sauce or ketchup. Squeeze the condiment onto a cloth, rub the item, then rinse with water and dry with a towel. Use a new tennis ball to wipe scuff marks off tile, vinyl, woodwork—even painted walls. It won’t harm the surface. To remove ring around the collar, draw over the stain with a piece of white chalk. Let it soak up the grease for a few minutes, then dust off excess chalk and launder as usual. Cheltenham Cleaning Services cleaning homes and offices across the Cheltenham region. If you would like to get in touch please visit us at www.cheltenhamcleaningservices.co.uk and ask us about our super cleaning services! You may think that you don’t have time to organize your office, but if you really knew how much time that disorganization cost you, you’d reconsider. Rearranging and moving piles occasionally doesn’t count. Neither does clearing off your desk if you swipe the mess into a bin or a desk drawer. A relatively neat and orderly office space clears the way for higher productivity and less wasted time. Organising your office doesn’t have to take days, it can be done a little at a time. In fact maintaining an organised office is much more effective if you treat it like an ongoing project, instead of a massive assault. So, if you’re ready to get started, the following tips will help you transform your office into an efficient workspace. Purge your office – De-clutter, empty, shred, get rid of everything that you don’t need or want. Look around. What haven’t you used in a while? Take one area at a time. If it doesn’t work, send it out for repair or toss it. If you haven’t used it in months and can’t think of when you’ll actually need it, out it goes. This goes for furniture, equipment, supplies, etc. Don’t forget about knick-knacks, plants (real or artificial), and decorations – if they’re covered with dust and make your office look shabby, they’re fair game. Gather and redistribute – Gather up every item that isn’t where it belongs and put it where it does. Establish work “zones” – Decide what type of activity happens in each area of your office. You’ll probably have a main workspace (most likely your desk,) a reference area (filing cabinet, shelves, binders,) and a supply area (closet, shelves or drawers.) Place the appropriate equipment and supplies are located in the proper area as much as possible. Close proximity – Position the equipment and supplies that you use most within reach. Things that you rarely use can be stored or put away. Get a good labeler – Choose a label maker that’s simple to use. Take the time to label shelves, bins, baskets drawers. Not only will it remind you where things go, but it will also help others who may have a need to find, use, or put away anything in your workspace. Create a meeting folder – Put all “items to be discussed” in there along with items that need to be handed off, reports that need to be given, etc. It’ll help you be prepared for meetings and save you stress in the event that a meeting is moved up. Create a WOR folder – So much of our messy papers are things that are on hold until someone else responds or acts. Corral them in a WOR (Waiting on Response) folder. Check it every few days for outstanding actions you may need to follow-up on. Clear off your desk – Remove everything, clean it thoroughly and put back only those items that are essential for daily use. Organize your desktop – Now that you’ve streamlined your desktop, it’s a good idea to organize it. Use desktop organizers or containers to organize the items on your desk. Use trays for papers, containers for smaller items. Organize your drawers – Put items used together in the same drawer space, stamps with envelopes, sticky pads with notepads, etc. Use drawer organizers for little items – paper clips, tacks, etc. Use a separate drawer for personal items. Separate inboxes – If you work regularly with other people create a folder, tray, or inbox for each. Clear your piles – Hopefully with your new organized office, you won’t create piles of paper anymore, but you still have to sort through the old ones. Go through the pile (a little at a time if necessary) and put it in the appropriate place or dump it. Sort mail – Don’t just stick mail in a pile to be sorted or rifle through and take out the pieces you need right now. Sort it as soon as you get it – To act, To read, To file, To delegate or hand off. . Assign discard dates – You don’t need to keep every piece of paper indefinitely. Mark on files or documents when they can be tossed or shredded. Some legal or financial documents must be kept for specified length of time. Make sure you know what those requirements are. Storage boxes – Use inexpensive storage boxes to keep archived files and get them out of your current file space. Magazine boxes – Use magazine boxes or binders to store magazines and catalogs you really want to store. Please make sure you really need them for reference or research, otherwise, recycle them, or give away. Reading folder – Designate a file for print articles and documents you want to read that aren’t urgent. Archive files – When a project is complete, put all of the materials together and file them away. Keep your “working folders” for projects in progress. Straighten your desk – At the end of the day do a quick straighten, so you have a clean start the next day. File weekly – Don’t let your filing pile up. Put your papers in a “To File” folder and file everything once a week. Use one tip or try them all. The amount of effort you put into creating and maintaining an efficient work area will pay off in a big way. Instead of spending time looking for things and shuffling piles, you’ll be able to spend your time…well…working. Another fantastic article courtesy of Lifehacker! Read the original here. Do you have the guts to part ways with all those broken gadgets, notepads and pens? This 10 step office cleanup guide should have you neat and tidy in no time. Try to spend just one minute on each task, and move quickly. Why it’s messy: Paper is the biggest desk culprit. Chances are you have piles of notes, receipts and cartoons strewn about, and it’s keeping you from getting to other office organization tasks. How to fix it: Take 1 minute to organize receipts and documents into separate piles. Sift through for “to do” lists so you can compile them later. Throw away anything you already have on your computer. If you’re afraid of wasting printer ink by printing it again, save it. Why they’re the culprit: You probably have 19 pens on your desk, only 3 work, and there’s only one you’ll happily write with. How to fix it: Do you even need to bother checking all of the pens to see which ones work and which are duds? Start by tossing anything from a hotel, doctor’s office or golf course. Keep pens with sentimental value, of course, especially if you can refill the ink. Toss the rest. If you don’t own a pencil sharpener, donate them to a student. Let’s get real. When is the last time you used one? Chances are, unless you’re making jewelry, or roping off a room, you don’t need the 400 pack sitting on your desk. How to fix it: This one’s rather simple. Grab as much as you can in one handful, give the rest to a friend or office mate. Paperclips are an office product lots of people tend to buy in bulk because they’re cheap, but they’re messy. If you ever find yourself without a paper clip, ask a friend! How’d it get there? If you’ve had your desk covered in unnecessary paperwork, chances are you haven’t been able to give it a proper wipe-down. How to Fix it: If you’re immobile, we suppose you could use the condensation from your cup of iced coffee and a napkin, but in case you can get up, give your desk a nice wipe with a damp paper towel. After a few swipes, you’ll be squeaky clean! If your office had a shower, you’d never leave, right? That doesn’t mean your office mates should have to hang out with your gym clothes in perpetuity. How to Fix It: Your clothes – a sweater, a scarf, socks – probably accumulated over a few months, toted around in your purse or a shopping bag. Before you throw your take-out away, save the bag, stow your clothes and remember to take them home with you. Either that or drop them off at a laundromat. It feels nice to get a card or thoughtful gift from a friend at work. Even if you didn’t get the present from a colleague, these things make your desk feel like home, understood. Don’t become one of those people with the desks that look like a museum. How to Fix It: Parse through the desk toys and get rid of anything that you got for free or at a seminar. It detracts from any accolade related desktop items. If you have an award or certificate of achievement, make sure it’s not overshadowed by your convention pens and stuffed toys. Your printer and computer are the backbones of your office. Don’t let them get dusty and greasy. A quick clean is cheaper than buying new hardware. How to Fix it: Wipe down your screen. Get a hold of canned air if you can, and blow the dust out of your keyboard and CPU. The last cold you got probably wasn’t from germs in the bathroom. Many studies suggest that the desktop in an office is dirtier than the restroom. If you keep anything at your desk, disinfectant isn’t a bad choice. How to Fix it: Just like dusting, spray, wipe, repeat. Making sure your desktop is free and clear of dust and clutter will make it easier to spray often. How to Fix It: For every highlighter, stapler, staple remover and clip, choose a few to keep. You don’t need every color of pen or 4 notebooks. How to Fix It: Throw away anything you haven’t taken a bite from in the last 5 minutes. Any plates, bowls or silverware that haven’t been cleaned since your last meal should be taken to the kitchen. Once you’re there, you can have a celebratory cup of coffee after you wash your mug. Lemon Juice is a great grime buster! After being cooped up in a stuffy house all winter long, it’s finally time to fling open the windows, shoo away the cobwebs, and take on your annual spring cleaning. But often, the chemicals found in conventional cleaning products can be more dangerous than the dirt they’re intended to clean. Plus, the way we clean (with lots of disposable paper towels) isn’t exactly earth-friendly. Thankfully, there are many alternatives available that can help you make your home squeaky clean—and green. 6. Ditch the paper towels. Save trees, cash and landfill waste. You can buy specially-made, washable cleaning and dusting cloths (in all types of fabrics from cotton to microfiber). But better yet? Use what you already have and give an old piece of cloth (stained towels, ratty sheets and pillowcases, too-small T-shirts, etc.) a new life. Simply cut or tear your old item into smaller squares (if you want to get fancy, finish the edges with a sewing machine), and voila! Pop them in the washing machine with your laundry to clean , and use them again and again. Cleaning up your home for spring doesn’t have to be dirty work. When you implement some of these ideas and products, you can rest assured that you’re benefiting your body, your home and the planet all at once. Many of these changes are small ones, but their impact on your health and the environment can really add up over time. Happy spring cleaning! I have just read a great article on how to keep your office clean which offers some sound and practical advice. If you are a hard working person, I bet you easily spend 40h or more per week in your office. For most of us, the office is our second home. There is truly no wonder why, by the end of the week, we find ourselves searching under piles of paper for mobile phones, car keys and other stuff. A clean office means more than meets the eye. A clean office offers you a clear and relaxed mind, not to mention the health benefits. But how often do you really have time to thoroughly organize both your workload and office space? This question is especially relevant in today's ever busy work environment. If you are a business owner or work from home and you find yourself just too busy to keep your office as clean as you would like to, then it is time to seriously consider outsourcing your cleaning to an office cleaners. Blog created by Peter Davies. We have a fabulous new website! Our lovely new website is mobile friendly! We are super thrilled to announce the launch of our brand new website. We asked Cre8urbrand (our branding and website people) to redesign our old website, to help us attract new business and also look more modern - to give us a more competitive edge. We needed a website that was 'mobile friendly', so they built us a responsive website that now works on all smartphones and tablets. We love our new website and we hope you will too! With our low prices and many years of experience we can offer you first class Domestic, Commercial and Contract cleaning across Cheltenham. Get in touch, we're always happy to help with your cleaning enquiry.